Scores 24 Highway MPG and 19 City MPG! This Ram 1500 boasts a Gas/Electric V-6 3.6 L/220 engine powering this Automatic transmission. WHEELS: 18 X 8 (… STD), TRANSMISSION: 8-SPEED AUTOMATIC (850RE) (STD), TIRES: 275/65R18 BSW ALL SEASON LRR (STD). 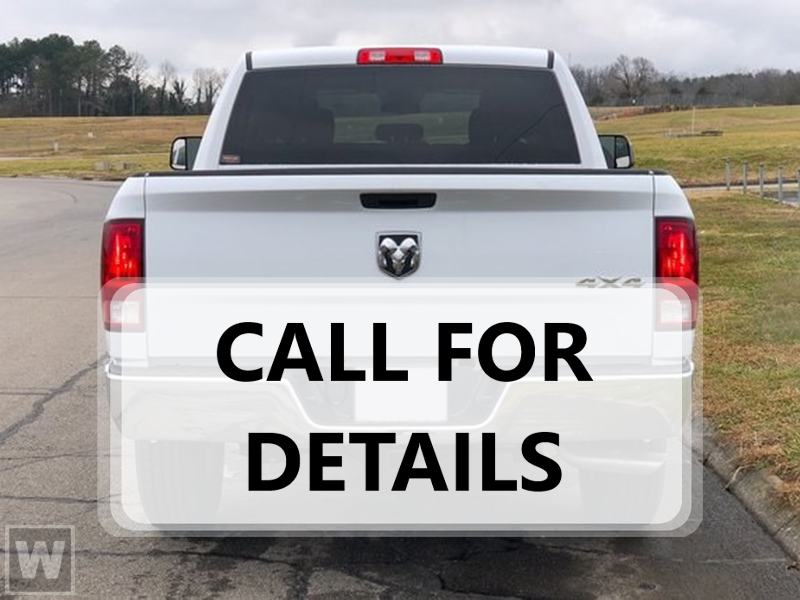 *This Ram 1500 Comes Equipped with These Options *QUICK ORDER PACKAGE 23Z BIG HORN/LONE STAR -inc: Engine: 3.6L V6 24V VVT eTorque UPG I, Transmission: 8-Speed Automatic (850RE), Steering Wheel Mounted Audio Controls , REMOTE START SYSTEM, GVWR: 6,800 LBS (STD), ENGINE: 3.6L V6 24V VVT ETORQUE UPG I (STD), DIESEL GRAY/BLACK, CLOTH BENCH SEAT, BILLET SILVER METALLIC CLEARCOAT, 3.21 REAR AXLE RATIO (STD), Wheels: 18 x 8, Vinyl Door Trim Insert, Variable Intermittent Wipers. * Stop By Today *Test drive this must-see, must-drive, must-own beauty today at Larry H Miller Chrysler Dodge Jeep Boise, 222 Auto Dr, Boise, ID 83709.